It goes without saying that Mr. Valentino is renowned for the beauty of his designs. But he’s almost as renowned for his elegant way of life—l’art de vivre. A legendary party host, he brings his unique mix of opulence and refinement to bear on his events, held at his homes around the world. An invitation from Mr. Valentino cannot be turned down—and now, readers everywhere can join the soiree. 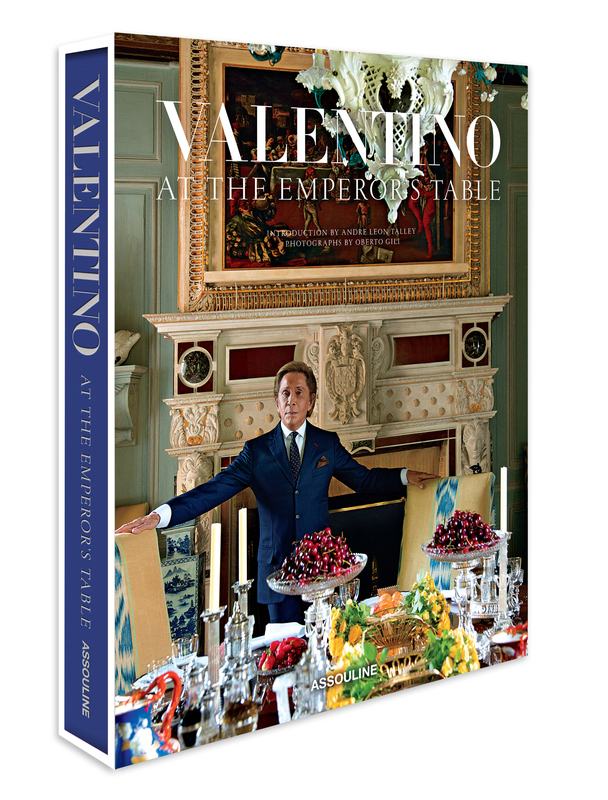 This fall, Assouline publishes Valentino: At the Emperor’s Table, a keepsake book that offers an inside look at entertainment chez Valentino. Shot by renowned Italian photographer Oberto Gili and organized by residence, At the Emperor’s Table offers up table settings and recipes particular to each home: A flan au chevre served on porcelain in Gstaad; Meditteranean-inspired fare aboard the T.M. Blue One. 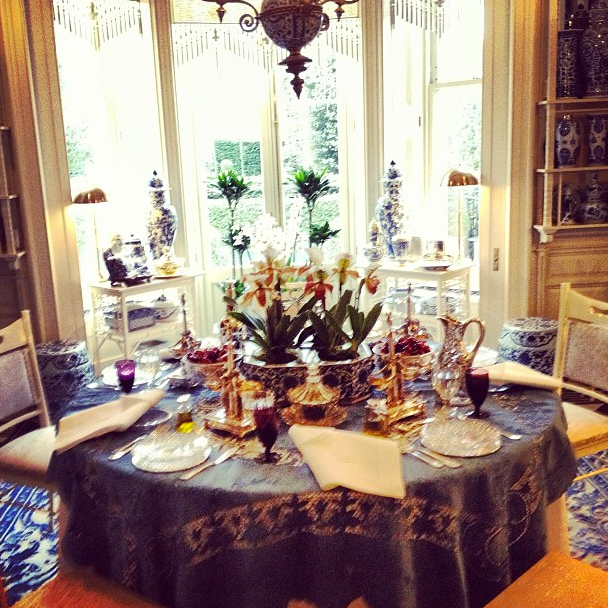 And of course, readers get a glimpse of the Chateau de Wideville, and Italian home cooking presented among his collection of rare Meissen swans.